How Come I Don’t Scold Men? Most of you know that I receive comments that scold and ridicule me about what I teach. I received this comment yesterday from Pamkitten (at least this is what she calls herself). I thought I would answer her in a blog post. If you aren’t interested in learning what the Lord requires of women, you don’t have to read my blog. No one is forcing you. You have a choice to not read it. There are many blogs out there that I am sure you agree with. I teach women Titus 2:4, 5 as the Bible tells older women to do. I am to teach young women to love and obey their husband, love their children, be sober, chaste, discreet, good, and keepers at home so they won’t blaspheme the Word of God. This is not easy to do in this day and age, but wise women want to be encouraged, exhorted, rebuked, and learn how to be godly women. But unfortunately, many young women today get offended easily and hate the Truth. 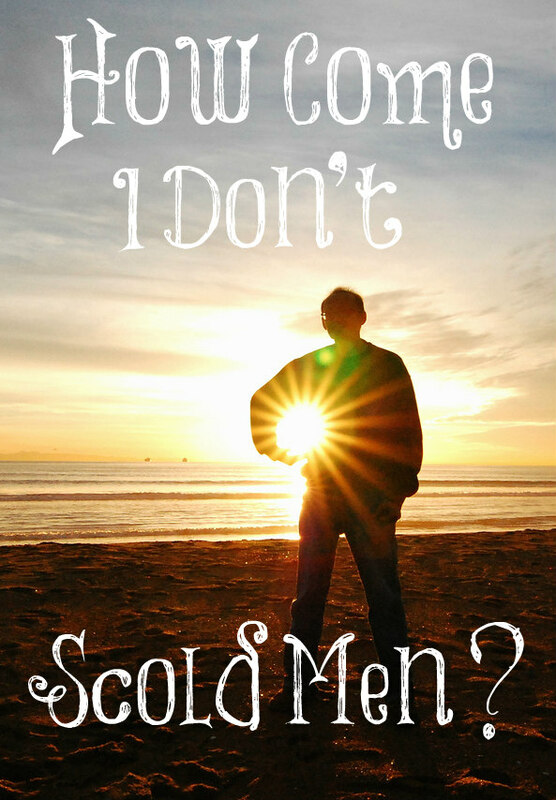 I don’t teach nor scold men since I am told to not teach men (1 Timothy 2:12). Pastors, elders, and deacons are the ones to teach men and they do tell men how they are to treat their wives. Feminists regularly scold men! If I told women how their husbands should be acting, however, it would just make the women more dissatisfied with their husbands. Besides, women can’t change their husbands and make them act like they want them to act or how they are supposed to act. They can only work on themselves and become kind, gentle, submissive, and loving wives. Like I said above, I am not supposed to teach men anything and there are many preachers who preach this to men but most are afraid to teach women to submit to and obey their husbands because of women like you. Unfortunately, feminism has invaded the Church and made it uncomfortable for many pastors to teach anything in the Bible that is directed towards women. When was the last time you heard a sermon at a church about wives being obedient to their husbands, dressing modestly, having a gentle and quiet spirit, and being keepers at home? I have been to church my entire life and have never once personally heard a pastor preach these things from the pulpit where I attended. God knew how easily offended young women get so He gave this ministry to older women. Older women don’t care as much if they are greatly disliked by young women because it costs them nothing to teach them (they won’t lose their salary or job like pastors can), they have walked this path of womanhood for many years, and heaven is closer for them, so they know clearly what is at stake for marriages, families, and children. There isn’t one verse that specifically commands husbands to submit to wives like there are wives submit to their husbands. Not one, but at least twelve that show the wife’s relationship under her husband. A husband can only have control over his wife if his wife submits to him and allows it. I take the Bible literally, Pamkitten. If I’m wrong, I will have to answer to my Lord someday, so I try very hard to be biblically accurate. Besides, if you believe the Bible means to submit one to another, meaning husband to wife and wife to husband, I sure hope you are holding up your end of the deal at least and submitting to your husband even if he is not submitting to you, since you will one day stand before God and have to give an account of your behavior, not your husband’s. Great response to a disagreeing comment. You’d be happy to know that in some churches, lessons such as wives being obedient to their husbands, dressing modestly, having a gentle and quiet spirit, and being keepers at home are actually being taught by pastors. I attended a Baptist church in the Carolinas and heard these messages personally. Hearing the messages and putting them into practice definitely helped my marriage. I grew up in CA so this probably explains why, unfortunately, Mariah. The Church would be a lot stronger if all pastors taught these important truths to women, along with the older women teaching them. It is great news if it is being taught in some churches, but it is a message that needs more than a once a year message. This is something that indeed the older women in the church should be training the younger women and training requires practice and retraining. Most men receive plenty of training how to love their wife from their wife if they care to pay attention, but most husbands do not know where to begin in teaching a wife, especially if she comes across as not being wiling to accept constructive criticism. It is when a wife has a heart of submission that a husband feels free to communicate his desires, leadership, and love to her. This is a major problem in churches right now. When I was looking to come back to the Lord after years of floating along in the secular world, I was shocked to find out how much everyone had softened on Pauline teaching. Ladies, this was never supposed to be easy! You are right, Jessica. It is not easy giving up our stubbornness and pride but so many blessings come when we do since God’s ways are always right! Thank you, Amy, and blessings to you! Great post. It’s interesting how they want an excuse to not do their part as God teaches in His Word. They want an excuse that the husband isn’t doing his part so I don’t have to do my part. Geese, how old are these woman. God never teaches us to do to others as they do to us but quite the opposite. Do unto others as you would have them do to you. You see they get mad because you take away their excuse for why they don’t have to do their part. Unfortunately the church has been giving woman an excuse for their bad behavior instead of teaching them they should just worry about what they are doing in their marriage. We will all be accountable before God for our actions not what other people do. Thank you for teaching and encouraging us in the truth of God’s Word. You’re welcome, Alisha, and you are exactly right. If everyone would love others more than they love themselves, all relationships would be great! Great post!, loved reading it! We each have a responsibility before the Lord to live according to His Word. As Jessica writes when one party to the marriage is failing in their responsibility it is incumbent upon the other to continue to be true to their vows and to their Lord. If they want to regain or win the relationship they must be even more vigilant to prove themselves to be the loving and righteous spouse. This call to love and righteousness falls on both husband and wife, and it is a calling in good times and in bad. The only way to restore such a marriage is for each party to come out of selfishness and begin to things God’s ways. This is Lori’s call to Christian women everywhere, “Will you be faithful to your vows and to your Lord Jesus and follow what He clearly calls you to be in His Word.” Husbands know their responsibilities to a wife. There are none who do now know what God has asked of them but there are millions of Christian women who have no clue what God requires of them to have a great marriage, or they choose to ignore it, instead wanting to blame their husband. 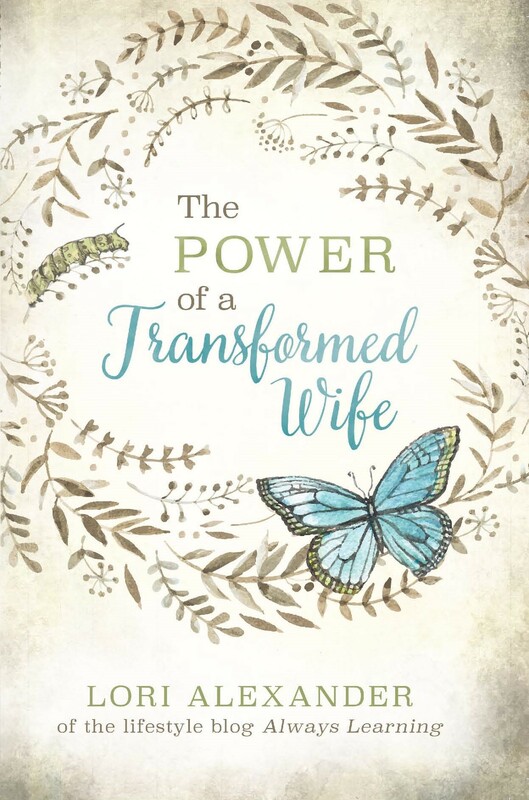 Lori is a voice crying in a wilderness where preachers will no longer touch these subjects concerning wives because the epidemic of feminism has infiltrated their church and perhaps their own home. It only takes a couple Pamkitten’s to throw a minister off his message as a “woman shamer.” And is that not the world we live in today that if we don’t like the message instead of using the facts of God’s Word we find name calling and generalizations? Pam Kitten, go to your Bible and read it and find that what Lori is teaching comes directly out of God’s Word and is a message given directly to women, for women. The message to men was learned long ago, but the message to Christian women is garbled in this modern church age and needs clarity if Christian marriages are to be saved and learn to thrive in joy love the way God intended. Amen and you’re so right. It must be so hard to be a preacher in today’s culture and trying to please the women who make up the majority of their attendees most likely. Thank you Lori once again for this much needed reminder.Oh the blessings that will flow,once we submit and obey. Gods word is not only precious,but reliable. Keep speaking truth. Thank you, Dawn, and I will as long as the Lord wills. I think she missed the context of the verse that talks about the body of Christ submitting to one another. It is a different submission to marital submission. We are to love and willingly serve other members of the body of Christ, thats biblical. But marital submission reaches a whole new level. As you said, there are 12 verses in regard to the wifes relationship to the husband. Methinks this lady is relying on what others have told her, or has limited understanding of the scripture. I think one of the issues women have with this blog is that you do not affirm slight rebellion. Pastors affirm, support and encourage wives rebellion. They know who writes the tithe check and who makes the decision to get the family to church on Sundays. You do not get tithe from these women. And the men who support the rebellion we might call white knights, but they are the husbands partaking in the eating of forbidden fruit. They have conceded their headship to their wives. Some of the other christian women blogs affirm. My wife said she didnt like your blog and liked another blog, however Ive caught her using stories out of yours! We no longer attend church due to her dragging us to every church within an hour drive. I put my foot down and we just read and teach our kids daily and sing and break bread together. Too bad as I enjoyed all of those churches, but she blasphemed God by saying he lead her to this or that church, one after the other. Most of them were feminist churches, but the people were nice and I enjoyed fellowshipping with them. I have never once heard women shamed or told to submit to husbands in church, but I have been told how horrible we men were in front of my wife and kids at multiple churches…. one on fathers day. You are preaching the word to women. It is sad when they are mean to you, especially when they are sisters in Christ. Hi Jeff, I get it. When my husband and I were engaged, I lead him to a church due to the urging of a girlfriend. My husband was new to God’s Word and my friend promised the church was unlike any other: jeans, a band, coffee. Looking back, I can’t recall one salvation message preached as everything was a feel-good message. The pastor was also a financial advisor and pushed to “review” our finances for free. My husband said it was so he could see how much he thinks we can afford to tithe and refused the offer. Long story short, the church was not a good match and we left back in 2009 because even I started to feel confused. I promised myself to never pick out a church again. If we were to go back it would be at my husband’s choosing. To be honest, I was embarrassed for choosing unwisely. It took up until last month that my husband found a church he absolutely loves. He has gone by himself to try the church before taking our family there and he’s excited because the pastor preaches directly from the Word and he feels it will be a good fit for our family. Slight rebellion, slight leadership on my part hasn’t worked for us; not even mutual submission. I couldn’t live with myself had I hindered the salvation of my husband in any way so I had to step back and let him lead. It is sad when women go cherry-picking through the gospel finding verses that will suit them if twisted a certain way. I love what you said about us being sisters in Christ. If we study the whole Word, there should be no reason to be mean or argue with each other, but somehow we find reason to do so.